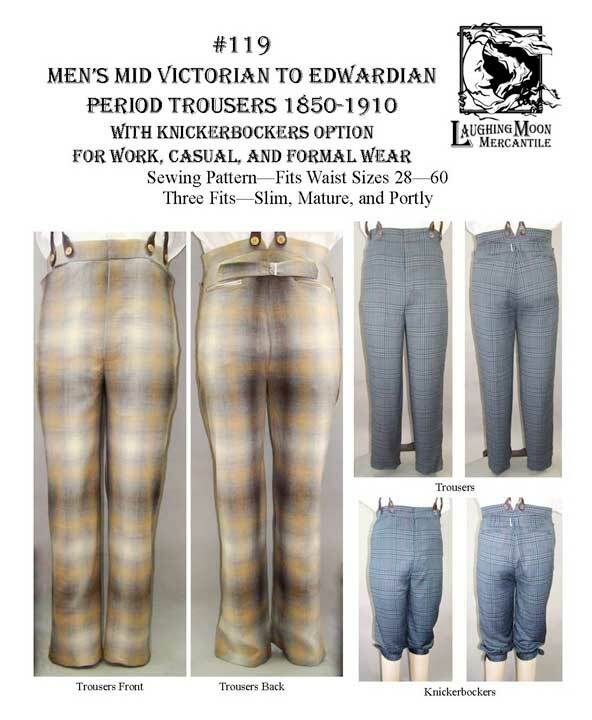 Package includes paper pattern and instructions for men's mid Victorian to Edwardian period trousers. 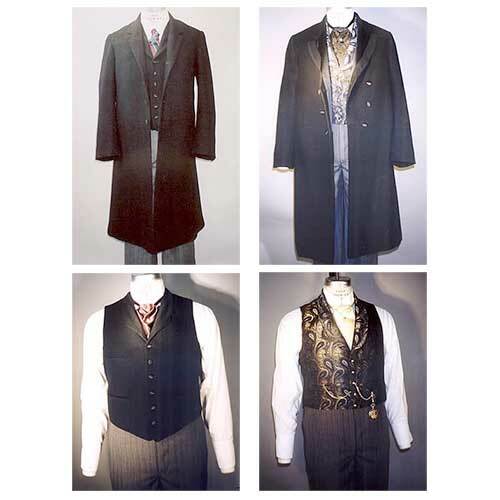 Suit 1850 - 1910. 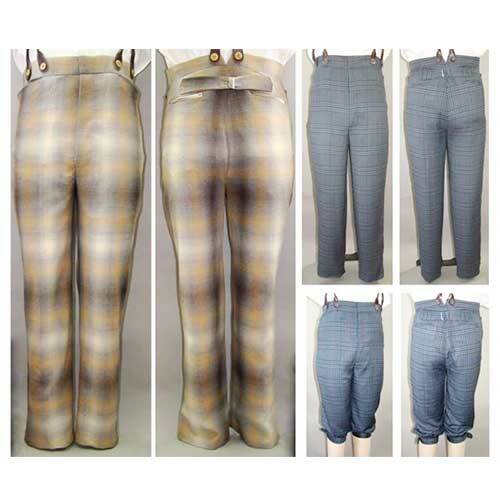 Men's sizes from waist 28" to 60" in a slim, mature and portly fit are all included in the package. 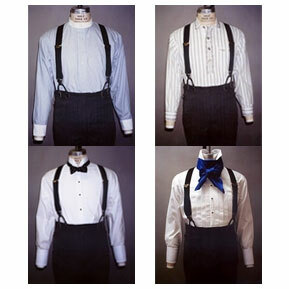 Men's Mid to Late 19th Century civilian style trousers with horizontal front pockets, button fly and suspender buttons. The back has welt pockets and a cinch belt. 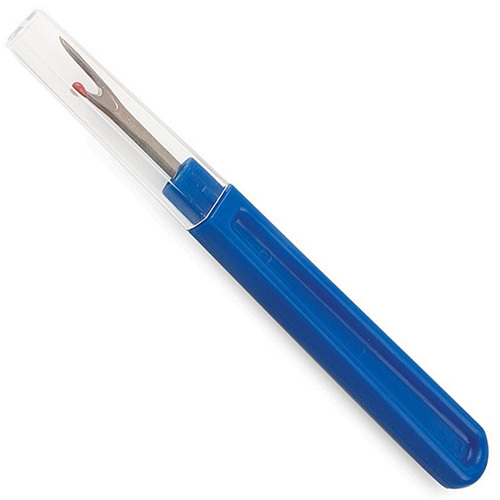 This pattern also comes with a knickerbocker option.